A few days ago we reported on a move in New York State to ban hydraulic fracturing of Marcellus shale gas in that state. The 4.2 million member strong online community MoveOn.org is sending out an email urging its supporters to sign a Working Families Party petition that would place a one-year moratorium on hydrofracking. It is rare for MoveOn to engage in local issues, and it is believed to be the first time that the group has collaborated with the New York City-based WFP. The WFP delivered 22,000 signatures to the Senate last night. If the Senate passes the moratorium, the Assembly is expected to follow suit. As you know if you read our previous post, the WFP was successful, as the Senate did pass the moratorium. The State Assembly reportedly will consider similar legislation in September. 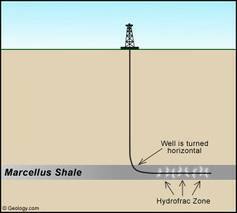 Why would a national organization such as MoveOn.Org be interested in a local issue such as hydraulic fracturing of shale for natural gas recovery in New York. As we noted, MoveOn.Org is heavily funded by George Soros. Soros is heavily invested in InterOil Corporation of Australia, and Petrobras in Brazil, which has vast natural gas holdings, as well as investments in numerous “green” energy initiatives. Natural gas from shale, being vastly available domestically when hydraulic fracturing is used, is clean, economical, and a viable alternative to coal and oil in a number of applications we’ve discussed here previously, as well as a logical bridge to nuclear power generation facilities that should be constructed. As such, it is a major obstacle to the profitability of his investments. A foothold in New York could lead to regulation of fracturing by the EPA rather than the individual states (a move also under way as the Observer noted) and ultimately to this safe technology being banned all together. Soros is joined in his quest by Marion and Herbert Sandler, who profited from the savings and loan disaster years ago and who now fund their own leftist propaganda organization, Pro Publica, which has not only exercised a great deal of its attention on the fracturing of shale for gas recovery. Furthermore, Soros and the Sandler’s have joined forces to found the Center for American Progress, for which the primary agenda is the promotion of Cap and Trade and renewable “green” energy programs. All totaled, it is rather apparent that Soros and the Sandler’s are using their organizations to promote their personal agenda, which includes the elimination of the shale gas industry. 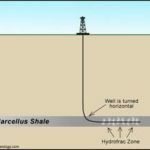 A moratorium on hydraulic fracturing will benefit George Soros perhaps as much as a moratorium on deep water oil exploration, and will be similarly devastating to Louisiana and other states where natural gas is trapped in shale formations. That which is good for George Soros is not good for this state or this nation.